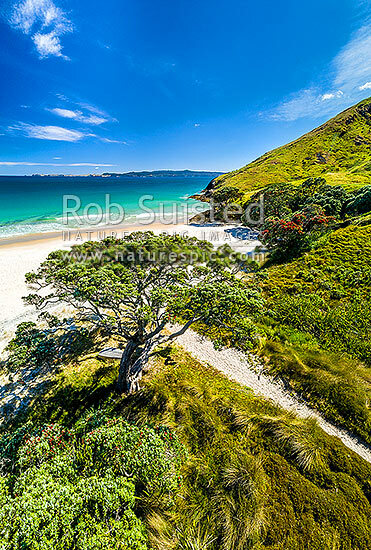 Otama Beach and Otama Bay, with flowering Pohutukawa trees lining the foreshore. Mercury Islands behind. Aerial view, Otama Beach, Coromandel Peninsula, Thames-Coromandel District, Waikato Region, New Zealand (NZ), stock photo.